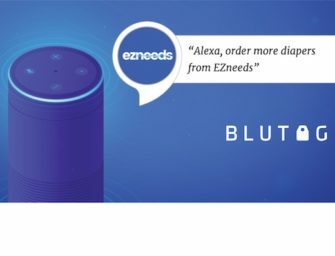 The proportion of large U.K. companies using voice assistants to help with tasks like dictation, information gathering, and calendar management is expected to more than double in 2019, rising from 18% of the large business population to 39% by the end of the year, reports Beaming and Opinium. The report expects the number of large U.K. companies using AI to overtake 32% of similarly sized businesses that employ human personal assistants (PAs) and secretaries in August 2019, making companies with AI assistants more numerous than those with PAs. Large companies have adopted AI-based assistants in place of PAs at a rate comparable to medium-sized businesses, but about three times greater than small businesses, while also representing the cohort with the fastest adoption rate. Businesses of all sizes are undergoing a significant period of digital transformation, doing more online and making ever greater use of new technologies. AI is gaining in popularity because it augments how people operate in the workplace, making them smarter and more efficient. The more that companies turn to technology, however, the more it is important that they address fundamentals such as connectivity and cybersecurity, to ensure they have the speed, capacity and online resilience they need for the future. Beaming’s study reveals that the use of AI assistants will increase among all sizes of business in 2019, expanding from 17% to 27% of medium-sized companies and from 6% to 13% of small firms. Given this current rate of adoption, Beaming predicts that the employment of AI assistants will overtake human PAs and secretaries in medium-sized companies by the end of 2020 and at small firms in 2021. The study conducted by Beaming also indicates the cybersecurity and connectivity will top the IT investment agenda for U.K. businesses in 2019. Thirty-percent of companies questioned stated they would invest further in cybersecurity this year, while 26% stated they planned to improve their connectivity. Beaming then went on to compare the results of this study to the UK Government’s business population estimates, predicting that 672,000 companies in the U.K. will spend more than £837 million enhancing their antivirus and anti-malware software in 2019. They were also able to determine that a further 284,000 firms plan to spend £549 million on new network perimeter firewalls in order to control traffic entering and leaving their systems. The full press release can be found here.